The most widely used and recognized imaging method for the detection of breast cancer is a mammogram. It is recommended that all women talk with their doctor about the benefits of mammography and when to start screening. 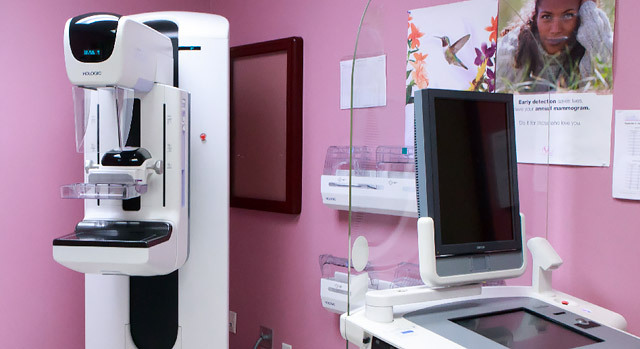 Traditional mammography uses x-rays to produce films of the breast. 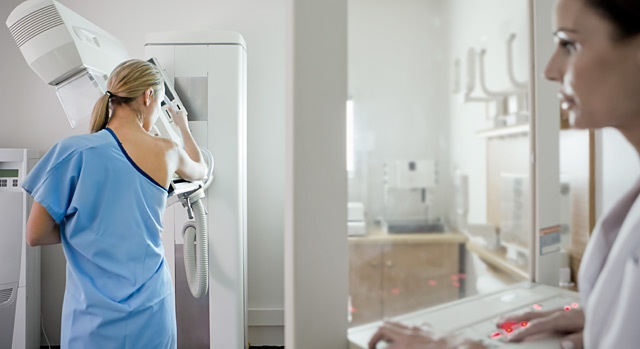 Digital mammography uses a lower dose of radiation to detect breast abnormalities. It also differs from standard mammography in that images are stored as a digital file on a computer instead of film. A computer program allows the image to be enlarged or enhanced or specific areas to be magnified. In addition to offering the Selenia system's advanced technology, Doctors Hospital is also helping to make the experience of getting a mammogram more comfortable by using MammoPad®. MammoPad is a foam breast cushion placed on the compressions plates of the mammography machine that helps decrease the pain many women feel during a mammogram by providing a softer, warmer experience. Doctors Hospital is proud to be recognized as a certified Pink Ribbon Facility, a elite group of facilities across the country, that share an important commitment to providing excellence in breast health paired with an exceptional commitment and support to the women of the community. The American Cancer Society Reach to Recovery® Program helps those living with breast cancer connect with breast cancer survivors. Call 1-800-227-2345 to get started. To schedule a mammogram at Doctors Hospital, call 523-2740. If you need a referral to a women's healthcare specialist or other physician at Doctors Hospital of Laredo, call our free physician referral service at 1-877-992-1711.